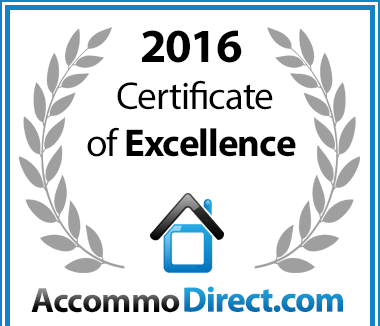 Awarded 4 stars from the Tourism Grading Council of South Africa, Casa di Cattleya boasts incredible and comfortable rooms with beautiful views, a wonderful ambience and gorgeous place to have a weekend away or even a comfortable business stay. 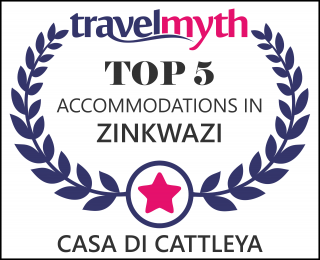 Casa Di Cattleya offers comfort and style within the 5 themed, en suite bedrooms. The beds boast 100% cotton percale linen, coupled with comfort mattresses to ensure you’re well rested and ready to enjoy all that the area has to offer. Staying cool has never been easier as all the rooms are fitted with Air Conditioners and to make your stay even more enjoyable we supply you with all of your bathroom amenities as well as International plug converters, hair dryer/straightener, gowns & slippers. Meals are prepared in house by your host in a variety of different styles of food with a special continental flair. Meals are served in our communal dining room or in any of our fabulous entertainment areas. Dinner menu may be arranged upon booking. *Please advise if you have any dietary requirements. Unfortunately we do not cater for children under the age of 15 years at this time.